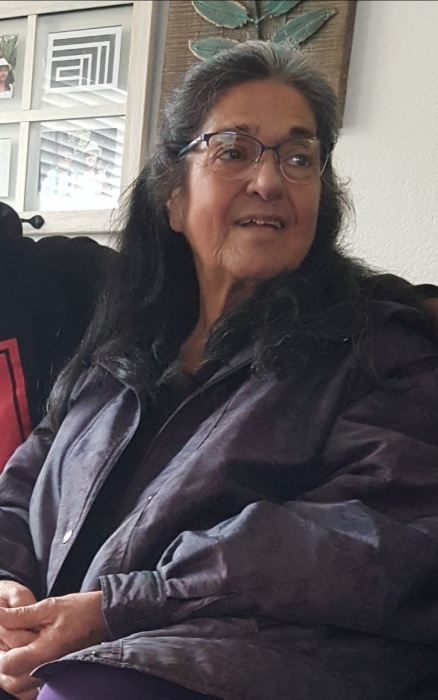 Lu Clark, 71, of Arroyo Grande, passed peacefully from this life on January 17th 2019, after a valiant battle with many illnesses. She was surrounded and supported by family at hand. Born in Mexico September 5th 1947 to the late Francisco and Maria Romero, she was blessed with a large loving family as the oldest of 7. As a young adult, there was nothing that she loved more than the natural beauty of a family camping trip they would often take. She raised 3 beautiful children in Arroyo Grande. Holding many jobs, a homemaker was her calling, and a home she did make! She had a love of cooking, crafts, sewing and more. Her life was her joy, and she had a passion for animals, the earth and a good romance novel. Through all that life threw at her, her quiet strength was relentless, truly setting her apart from the rest. A unique, willful, caring woman, she was always willing to give you more. To listen, to care, to help; her influence will forever remain in the lives of all who knew her. Lu is preceded by the passing of her only son, Scott Clark, brother Roque Romero and her parents. She is also preceded by her loving pets, Coco, Duke and Jasmine. Her beautiful life will forever be cherished by her children, daughters Kimberly Clark and Diane Becerra: 8 grandchildren; Michael, Boulder, Brittany, Matthew, Isaiah, Blondie, Savannah, Sadrenna and 10 great grandbabies. Grandma Lu, your spirit will be deeply missed. The many things you've done; all of the times you were there, helped me know deep inside just how much you really cared. I appreciate all you do. Richly blessed is how I feel having a grandma just like you. In honor of her beautiful soul, a celebration of life will be held at Atlantic City Park on Saturday, January 26th at 12:00 p.m.